Here’s a charming little baby bonnet from the museum’s collection. 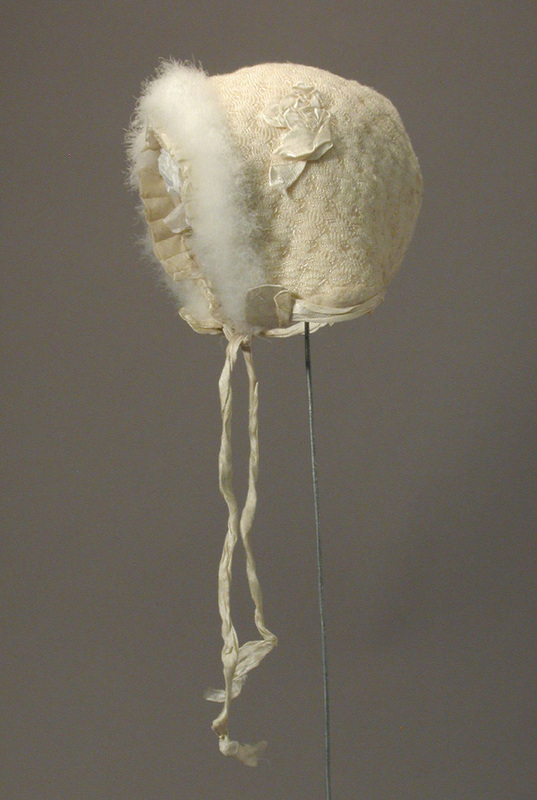 Probably from about 1910-1920, this bonnet is trimmed with angora – both cute and cozy for baby. “A knowledge of needlework is also essential. It is not always stipulated that the nursery governess makes the clothing for the children, but it is always understood that she repairs it and keeps it in order, and to do this she must work neatly, and, if the children be old enough, give them some instruction in the rudiments of needlework. To be able to renovate and renew little garments, to trim hats or bonnets, and to suggest or design pretty and inexpensive little costumes should be a pleasure to one who takes an interest in the children for whom she works…”. Before Washington there was Becher. 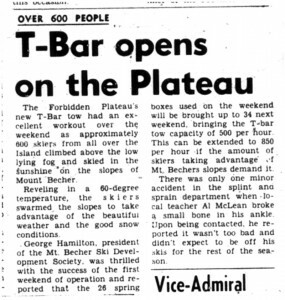 This January 20, 1965 article from the Comox District Free Press gives some interesting stats regarding the Mt. 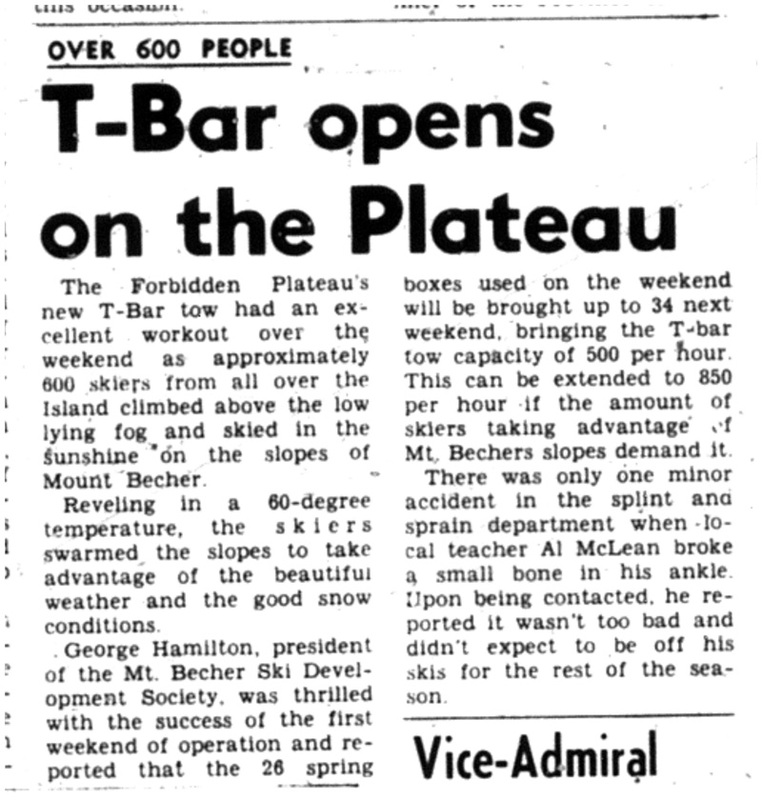 Becher T-Bar on its first, unofficial weekend of use.